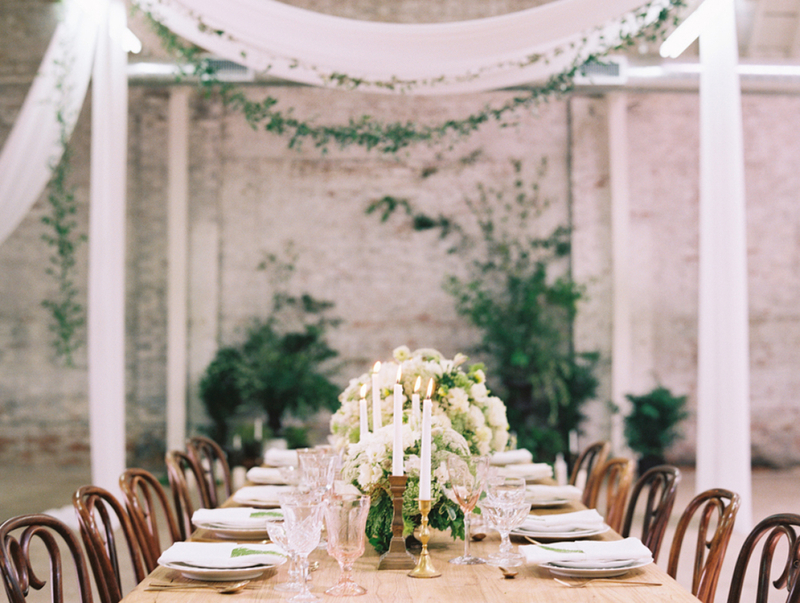 Here at WTW we just L.O.V.E wedding ideas that help couples really personalize their day. 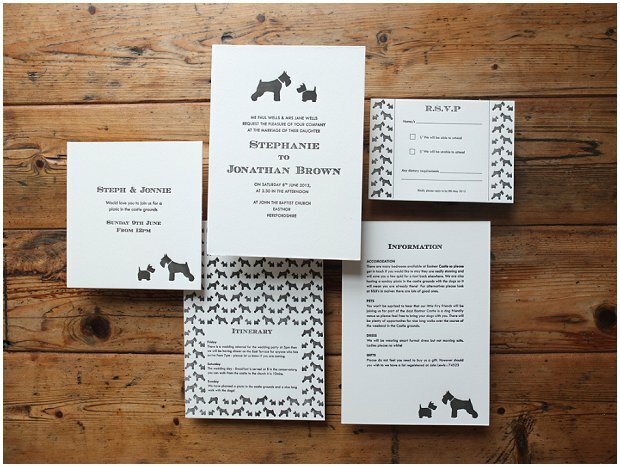 Wolf & Ink has developed an exciting new approach to wedding stationery. 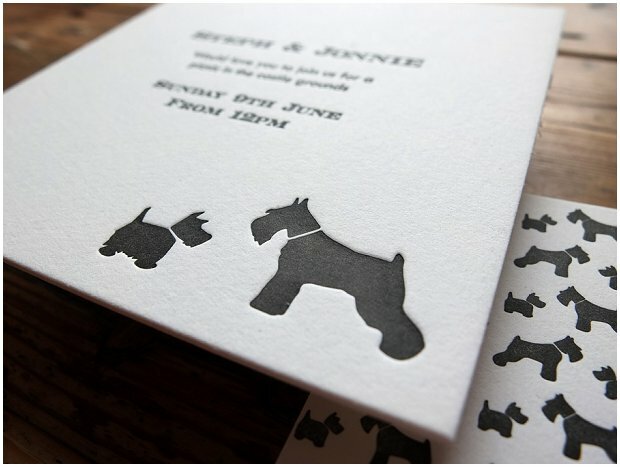 It enables couples to create unique and personal wedding invitations for significantly less cost than traditional bespoke wedding stationery. It’s called Designed for You. 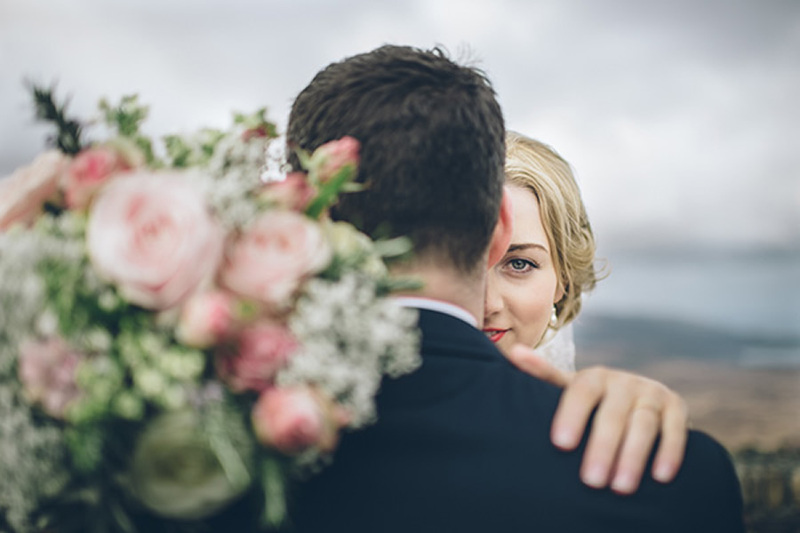 With the Designed for You range each stationery set is created just for you as a couple – using ideas and themes that are important to you and reflecting your wedding and relationship. 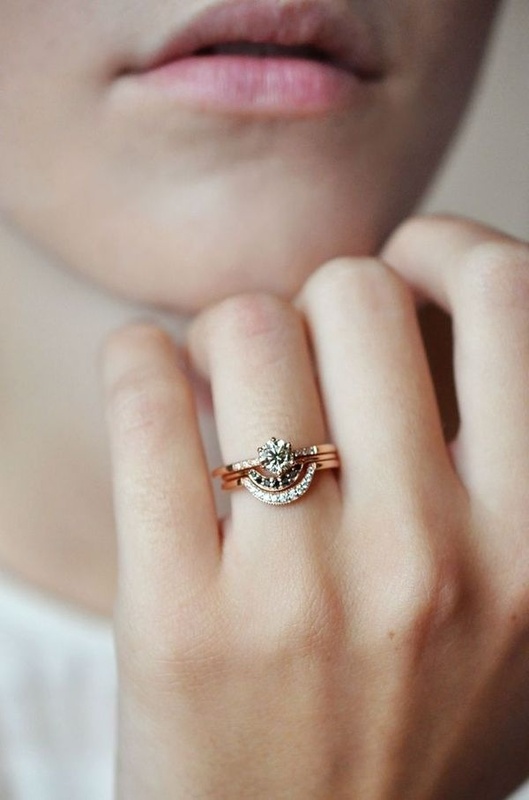 The designs can take their lead from anywhere: a key venue, a romantic proposal, the story of how you met, or even pay homage to a beloved pet. These ideas are then carefully crafted into graphics using Wolf & Ink’s signature design style, which blends vintage-inspired imagery with contemporary prints. 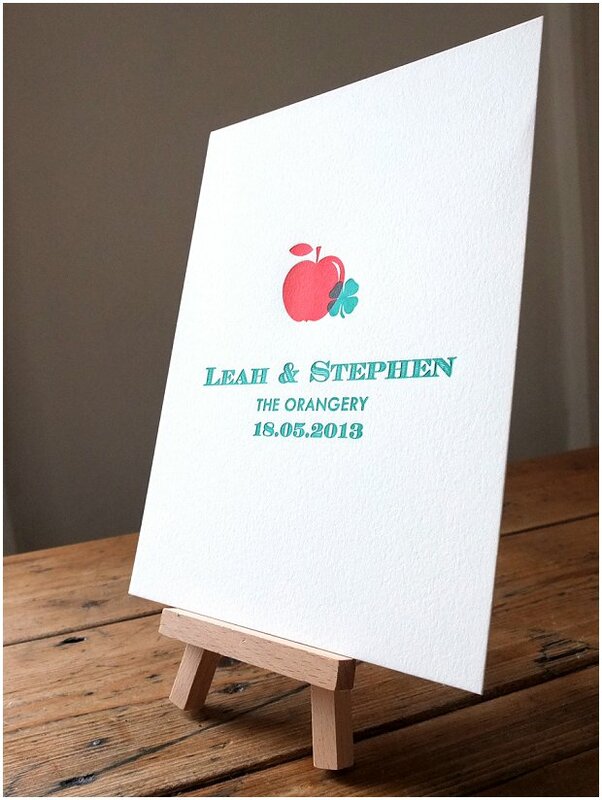 Once designed each item is lovingly hand-printed by letterpress onto thick, quality paper stock. 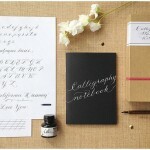 This results in truly unique and beautiful stationery, designed around each couple’s ideas, which bring together the artisanal and antique method of letterpress printing with contemporary prints and design. 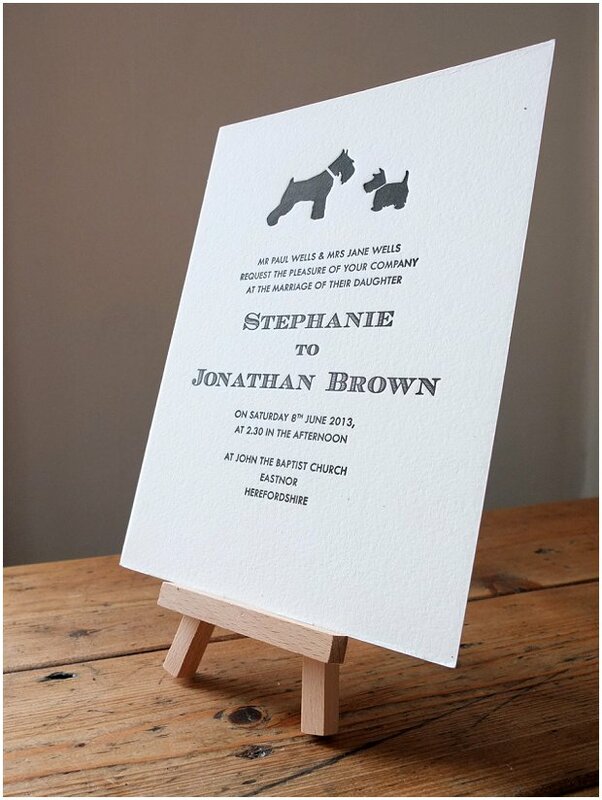 A pair of dogs might not be the usual idea behind a wedding invite, but having met walking their dogs in the park, Stephanie and Jonnie wanted to pay homage to their two in their invitation design. 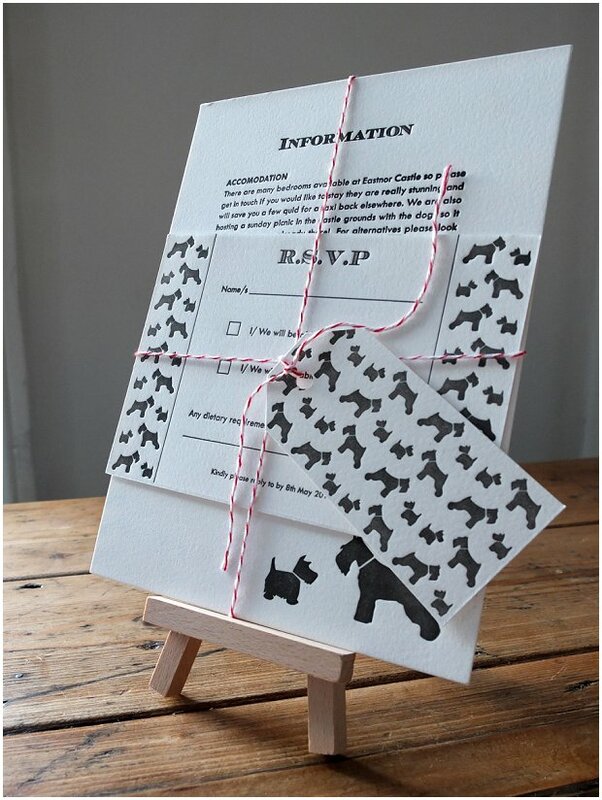 The design still has some of the formality of a traditional invitation with the extra doggy motif and pattern. 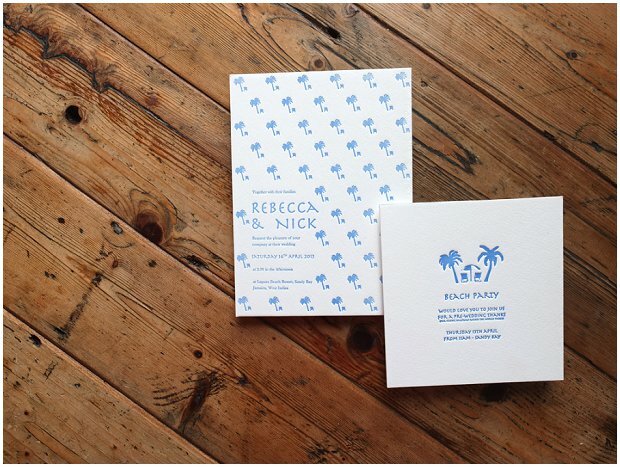 A day lounging at the beach provided the inspiration for Rebecca & Nicks Jamaican Beach wedding. 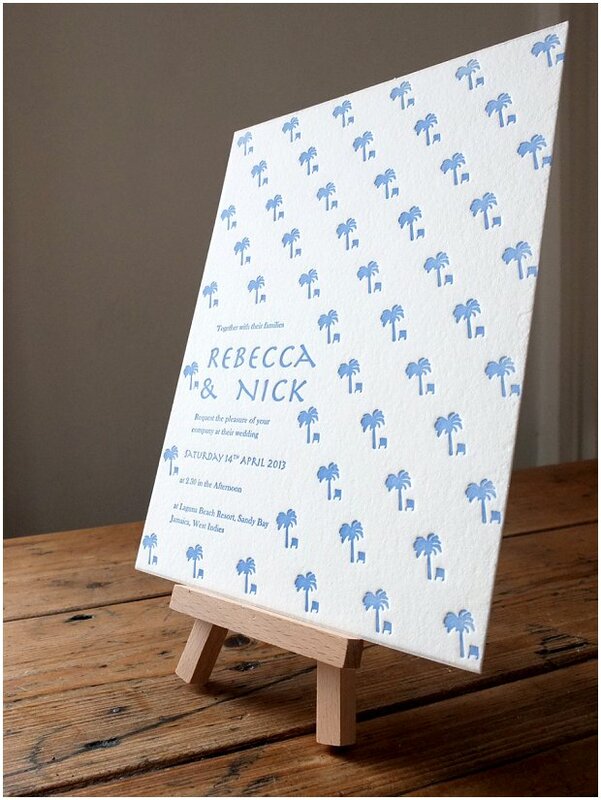 The couples beach ceremony in Jamaica was going to have a relaxed ‘on holiday’ feel without the standard formal traditions of an English wedding – so they wanted the design to reflect this. 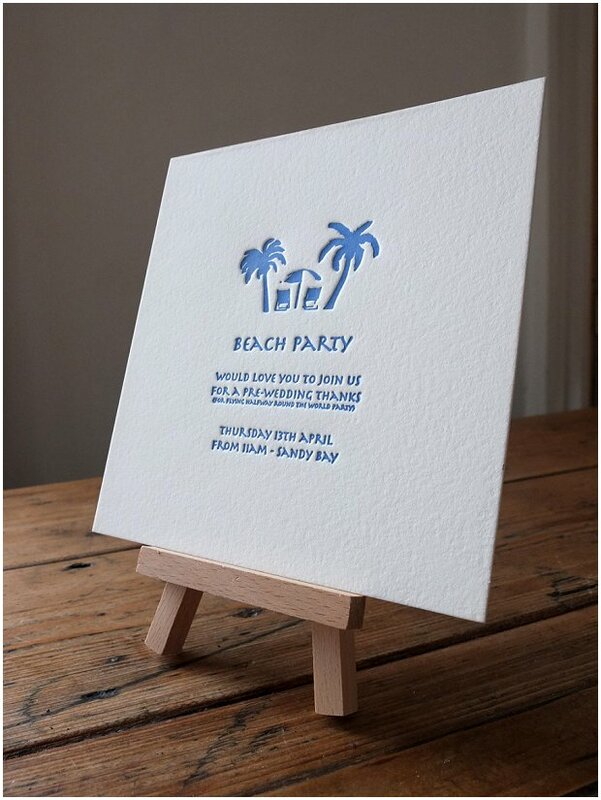 The design uses an off centre pattern design in bright blue coupled with an information card and ‘beach party’ invite for the pre-wedding party all printed on stunning thick 640 gsm cotton card. 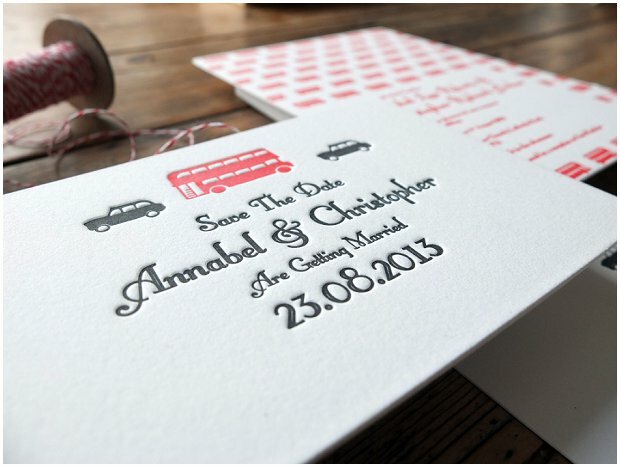 For Annabel and Christopher transport was one of the first things they booked when planning their London wedding. 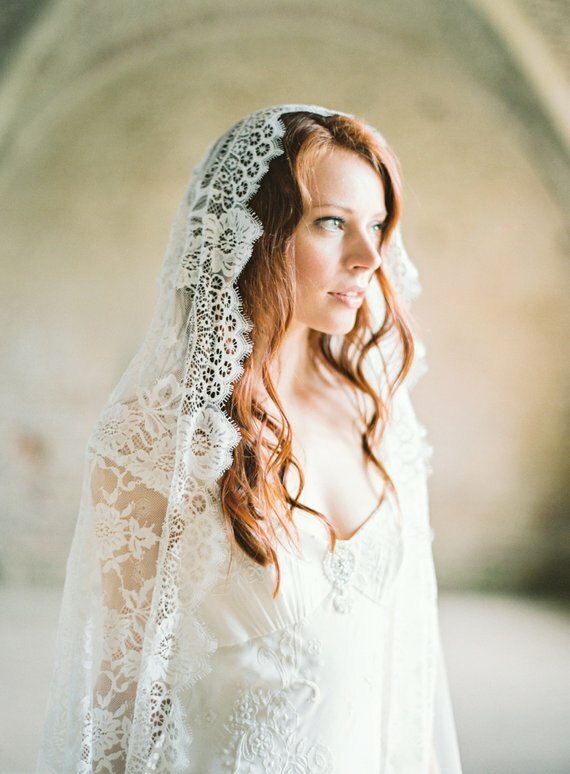 Annabel was desperate to travel to the church in a vintage taxi. 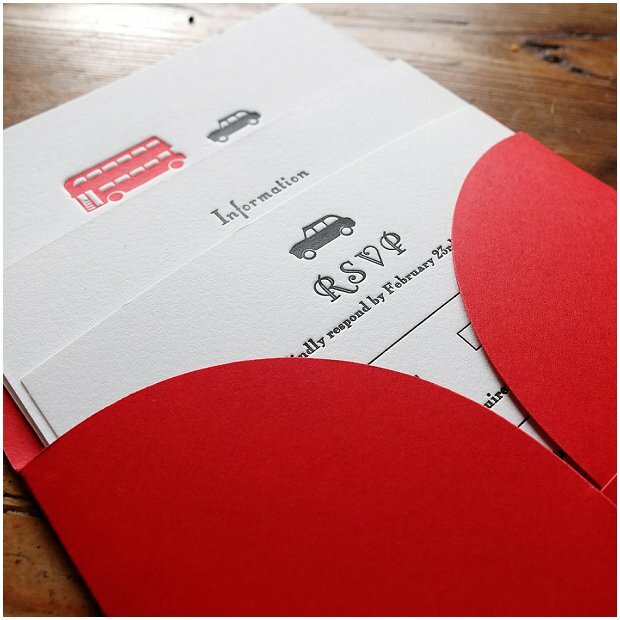 And as the guest were going to have a bit of a journey between the ceremony and the reception they booked a vintage route-master bus to take them all in – it even had an onboard bar! 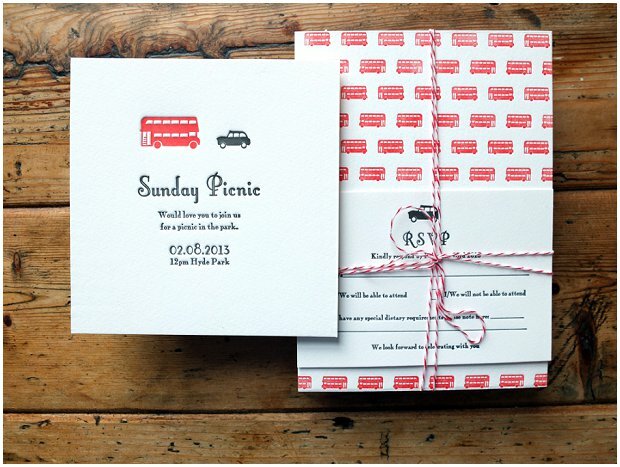 Vintage bits and bobs where a bit part of their day so we wanted to create an invitation with a bit of a vintage feel and found some stunning fonts to do this with. 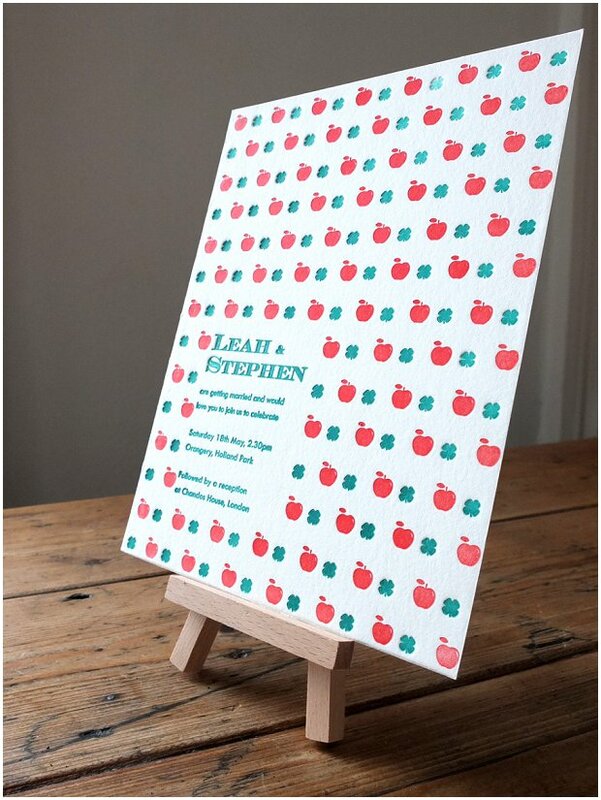 As we have had so many enquires the London design has become one of our 2014 collection – available to buy on Not On The High Street. 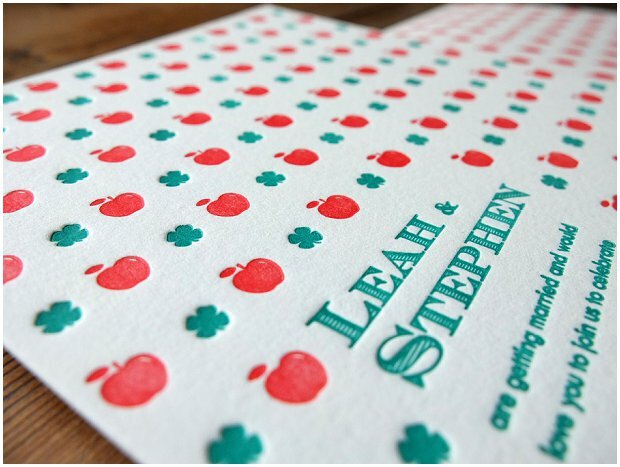 A country and city emblem were the inspiration for this unique design for a wedding between a Dubliner and a New Yorker. 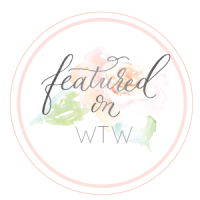 The wedding was to be hosted in London so both bride (the New Yorker) and groom (the Dubliner) wanted the invitation to tell a bit more about their history. 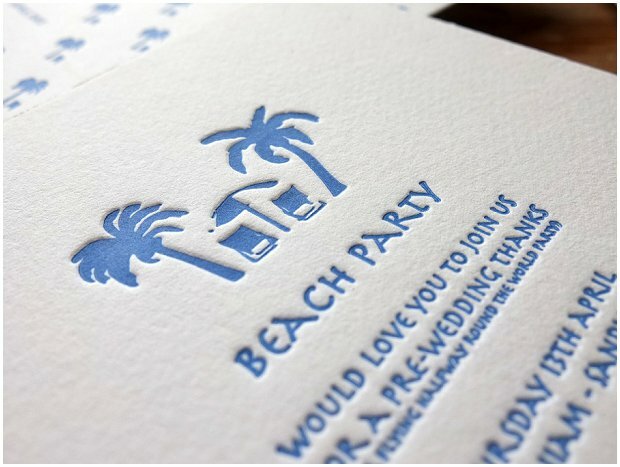 The design also utilizes a print style quite unique to letterpress called ‘overprinting’ – which takes advantage of the transparent inks used for the process by over lapping different parts of the design. 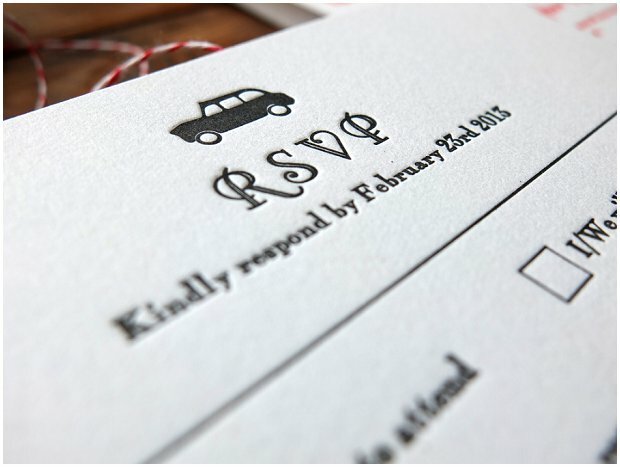 Letterpress is a centuries-old tradition and consists of a relief plate or type pressing down on each individual sheet of paper. 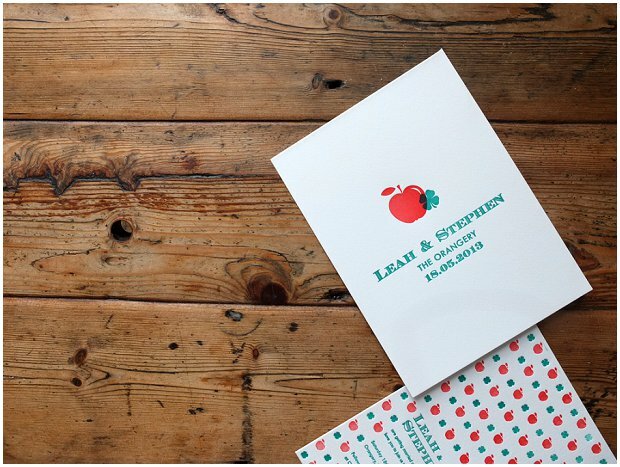 The possibilities for the use of textured and thick papers is greater with letterpress and the process creates a stunning debossed texture that it is widely be coming popular for in the 21st Century. 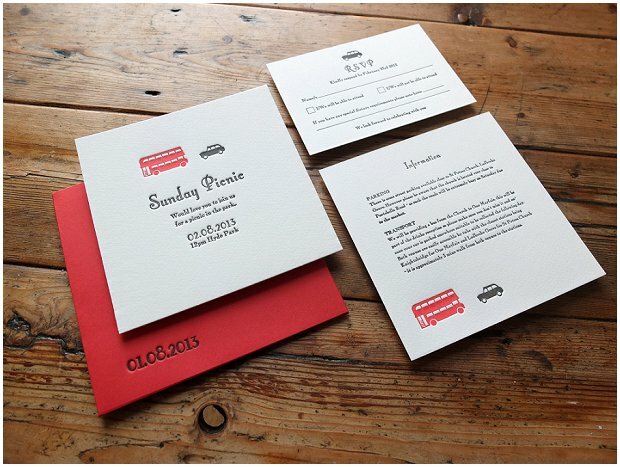 Completely personal and unique wedding stationery to you as a couple. I love it!! 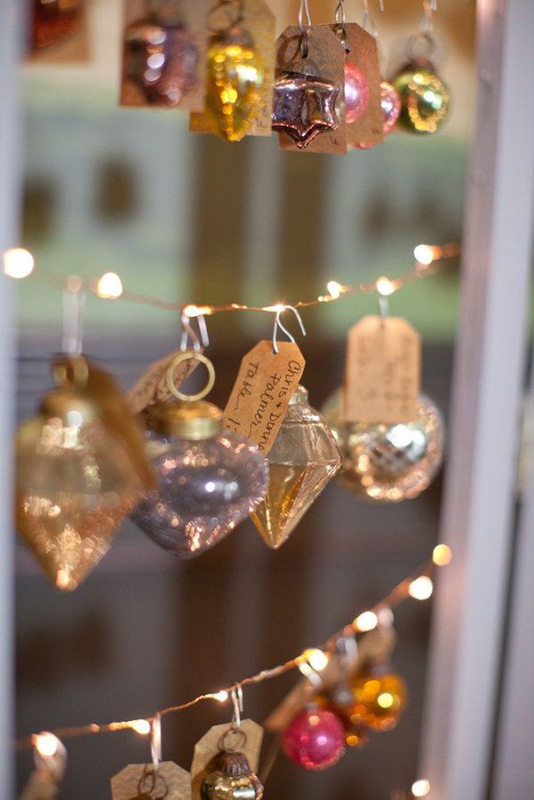 Do you like the sound of this idea? 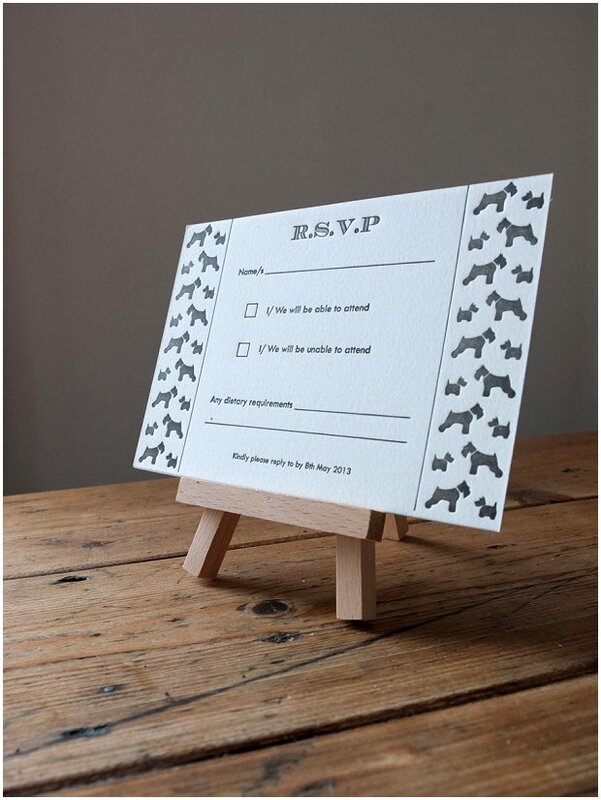 What would be the inspiration for your own invites? 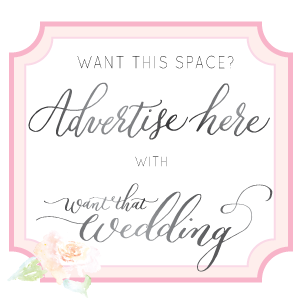 Do please share with us below. 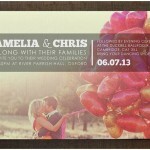 These are really special and unique wedding invitations. 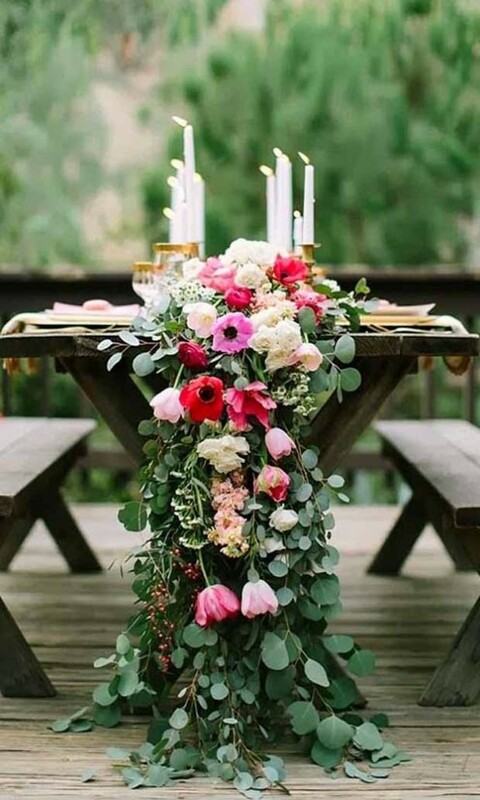 These can be centerpieces for wedding.